Chlorine water, UV rays and wear caused by riders are your aquatic play unit’s biggest enemy. 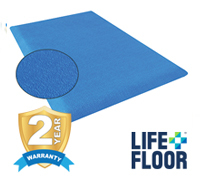 Over the years, safety netting stretches or is torn, anti-skid deck coatings wear away, scale build-up turns to a surface destroying acid, paint chips off hand rails and water slides get scratched. If these conditions are left unattended, they can negatively impact the attractiveness of your aquatic play unit and eventually become a safety hazard. 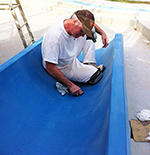 SlideRenu® offers a line of DIY products as well as professional services to maintain, retheme and preserve your aquatic play units. Our DIY cleaning products are available on our product page. 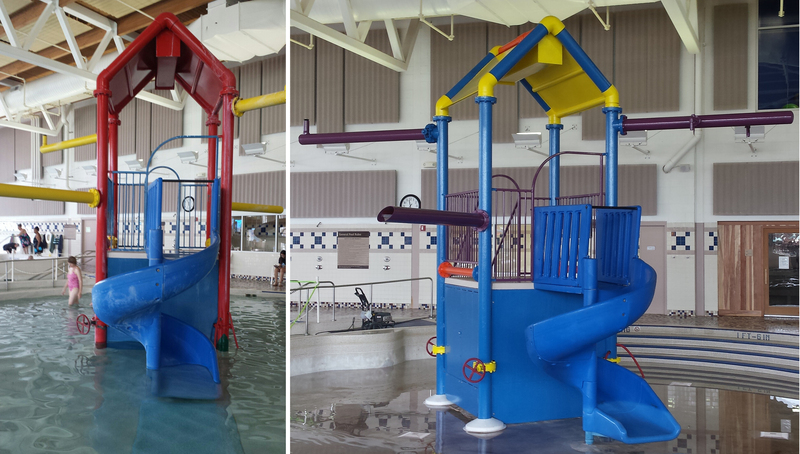 Retheming an aquatic play unit is a cost-effective option to replacement. The photo shown above is a great example of how a "face lift" can enhance and completely change the look of a structure. We use a three part coating system consisting of our proprietary chlorine-resistant and rust preventative primer, solid color top coat and clear high gloss sealer (ABC™ Primer, ColorShield™ and ChloraShield™) on every project. Every repainting project is backed by a 1-year workmanship warranty against delamination and a 3-year product warranty against excessive color fading, loss of gloss, surface rust and chalking, making our warranty the longest in the industry. If you have any questions about these products or the services we offer specifically for aquatic play units & features, please Contact us.